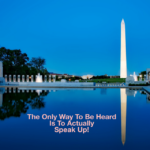 Home/The Only Way To Be Heard Is To Actually Speak UP! Earlier this week a record number of women were elected to the House; 35 were newly elected and 65 were incumbents, 2 outstanding races have two women competing against each other, which means at least 102 women will be serving in the House next year. Women have never been more outspoken. Women are beginning to believe if they speak up they can be leaders…not bossy. This election has helped set a precedence for women-if you feel things need to be changed, if your thoughts need to be heard, you can dig down deep to muster the confidence to abandon our society’s male dominated norms and help create different rules written by women for women. Women must speak out! Don’t let men speak over you, be strong and speak up with self-assurance; take charge of the situations that you’re in and show your strength under pressure to get your points across and receive what it is you want. We all make mistakes-no one is perfect. Men in general (not all) seem to bounce back quicker from defeat than women do. You have to keep on keepin’ on. Remember that even if you do not win, you learn. 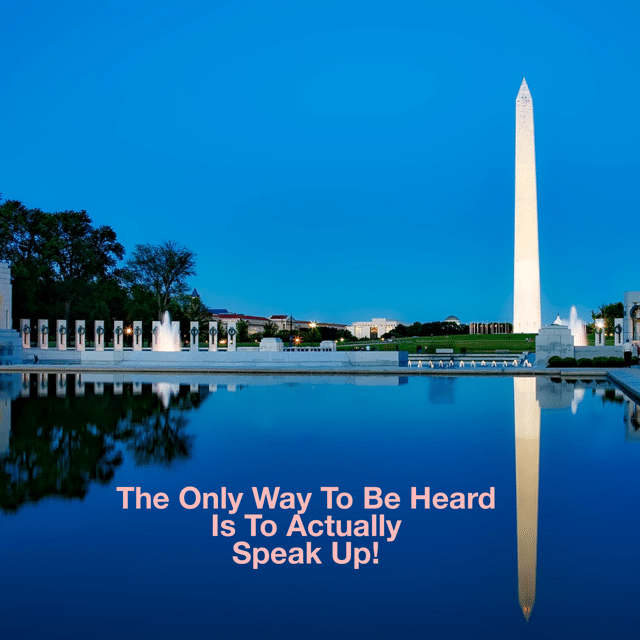 If you don’t speak up, how is anyone going to know what it is you want? You can do some things in the background, but mostly you need other people to know what it is you’re doing; you have to speak out, speak up, and share your thoughts. If you want to achieve success you must be noticed, you may need to ask for help…not everything can be done alone in a box. Is it you feel you’re not really all that good at what you do or your thoughts aren’t that good? Do you feel that you’d rather no one know of them? Why is that? Your thoughts are as good as most men or anyone else speaking their thoughts loudly I’m sure. It’s important to accept criticism-I’ve taken quite a bit of it. In my life I’ve had many men in the workplace who have spoken to me as though they knew more than me. It’s interesting to sit back and just listen to what’s being said as though you don’t know what’s best for you…when you do. You’re can learn about both the subject matter and the person pontificating. If I had followed those people’s advice, it would have cost me a lot of money. On the more personal side, I’ve had doctors who had given me opinions with which I had disagreed. I fearlessly said that what they were recommending was wrong for me. They treated me as though I was loud mouthed and misinformed. If had taken those doctors’ advice I’d be severely handicapped or dead. It’s important to go with what you feel and speak up, whether it’s in your business or personal life. It can be life changing. Don’t hold back, show them what you got!